If tradition had had its way, 30-year-old Josephine Ekiru would be somewhere waiting for her husband and sons to return from the grazing fields. Perhaps, she would be waking up each morning, baby strapped tightly on her back, picking up a dented jerry can and heading kilometres away towards the Ewaso Ng’iro in search of water. But as fate would have it, the gods had chosen a different path for her. It’s a path she now walks proudly, getting involved in the lives of the men who, in a different life and at a different time, would never let a woman peek into their lives. “Now I am their confidant. They tell me things about their lives; their hopes and ambitions, and I help where I can,” she says. Samburu women are responsible for gathering vegetables and roots, caring for their children and collecting water. The girls usually help their mothers with the domestic chores. The nomadic tribe is a gerontocracy, with the elders ruling it. These elders decide when ceremonies such as weddings and circumcisions will occur. Entry into womanhood and manhood is marked with a circumcision ceremony, and men and women are only able to get married once they have been circumcised. Josephine Ekiru addressing the press at the Inter-conservancy Moran’s Marathon. Another striking feature of the tribe is its participation in cattle raids, traditionally a practice meant to intimidate neighbouring communities, wield authority and increase wealth. It’s also considered a rite of passage for young men – the greater the plunder, the greater the honour – because cattle are their livelihood and are considered a symbol of status and success. When growing up, Josephine often accompanied her brothers as they took her father’s cattle to pasture, which was considered out of character for a young Samburu girl. It was during one of these trips that she realized she had something special: her elder brothers and cousins were confiding in her. It’s at this point that she suspected that her life would not follow the trajectory pushed by tradition. As she grew older, the burden of the secrets confided in her grew heavier. Some of these secrets were sealed in blood. Neither dropping out of school, being married off at 16, nor motherhood could change this: she was trusted, and trust trumped gender. “I was being told of cattle raids by the men well in advance. When they happened, it was us, the women and children, who suffered the most,” she says. Her influence did not go unnoticed. 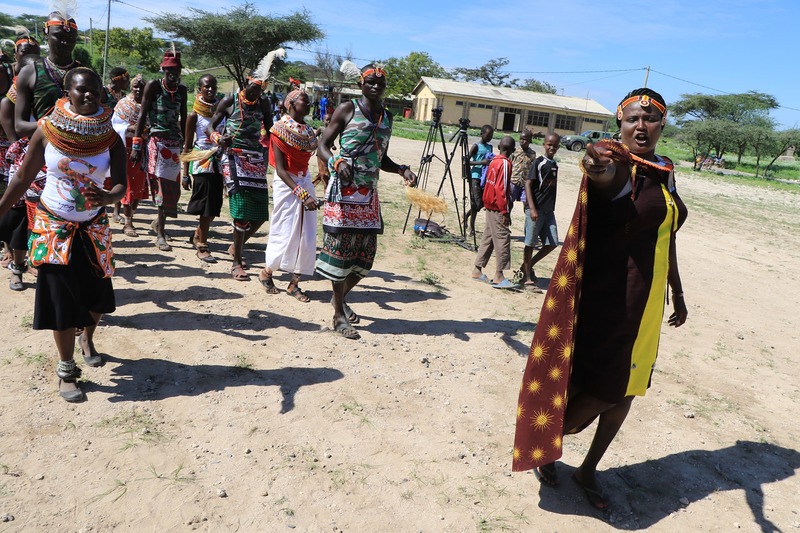 A local NGO heard about her exploits and the powerful influence she wielded over the morans, a key constituency and a major player in the state of affairs in an often volatile Northern Kenya. 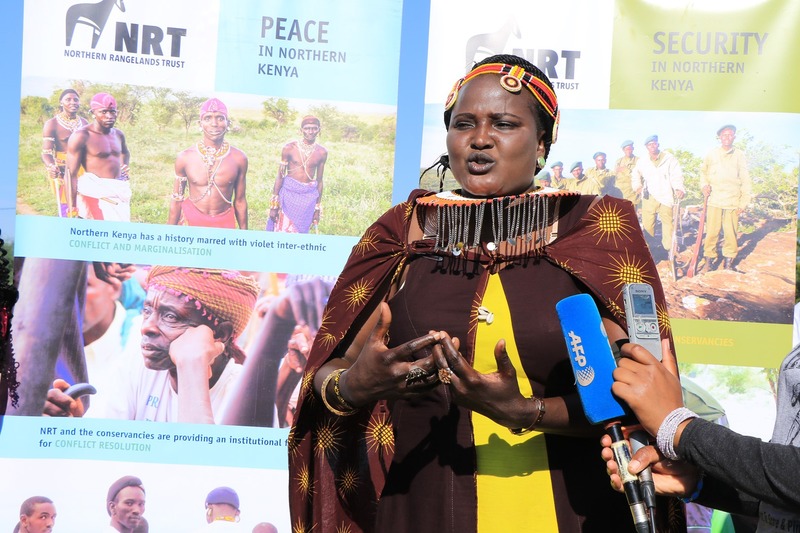 That is how Josephine became one of the first female peace coordinators within the region, obliterating the culturally predetermined glass ceiling that threatened to stifle her in Nakrupat Conservancy. The conservancy is home to the Samburu, Borana and Turkana communities, and has seen its share of violence over the years. Bitter, age-old rivalries and detrimental practices have scuttled various peace efforts, with poaching, cattle raids and violent demonstrations of cultural superiority turning the area into a no-go zone for non-residents. Josephine’s main objective when she took up the role offered by NRT was to develop a relationship, outside war, between these communities, after which she was to bring them together to fight a cancer that was eating at their most prized possessions: this cancer was poaching. The odds were stacked against her, but she had to start somewhere. “The one thing that cut across all these communities at the time was running. They all did it for fun, so this is what we used to bring them together and initiate peace conversations,” she says. This was four years ago. Since then, Josephine has been organizing races for morans from these tribes, the most recent one being the 2018 Safaricom Marathon in Lewa. Josephine Ekiru, one of the first female peace coordinators. This is a role that was offered by local NGO Northern Rangeland Trust (NRT). During this much-hyped global running event, 17 morans from the different communities put down their weapons to run for the kind of peace and conservation she had been preaching for the last few years. At the end of the marathon, the 17 men, who had run as a unit throughout, slumped against each other, struggling to draw breath from the same air and maintain a grip on each other’s’ shoulders. If one of them fell, then all of them would have fallen. By participating in the race together, unbreakable bonds were forged. After it, the realization that they all shared a similar destiny and their strengths overrode all other perceived differences was enough to make them look at life from a different perspective. “They are now brothers. Nothing can destroy that,” says Josephine. It’s an exercise that begins months in advance. When preparing for the marathon, the morans share every detail of their lives with each other. They sleep together, eat and live together. “This way, myths about other communities are shattered,” Josephine says. Josephine is among the first women to earn the respect of morans in a jealously protected patriarchy. It’s a different kind of education, a realignment of beliefs that will hopefully undo the most harmful of cultural practices passed down from generation to generation. For many of the morans participating in such marathons, the races remain their passports to the rest of the world; the only way for them to leave their villages and experience life outside their communities – an opportunity for them to dream of something greater. Josephine may have been among the first women to earn the respect of morans in a jealously protected patriarchy, but soon, she will not be the only one. 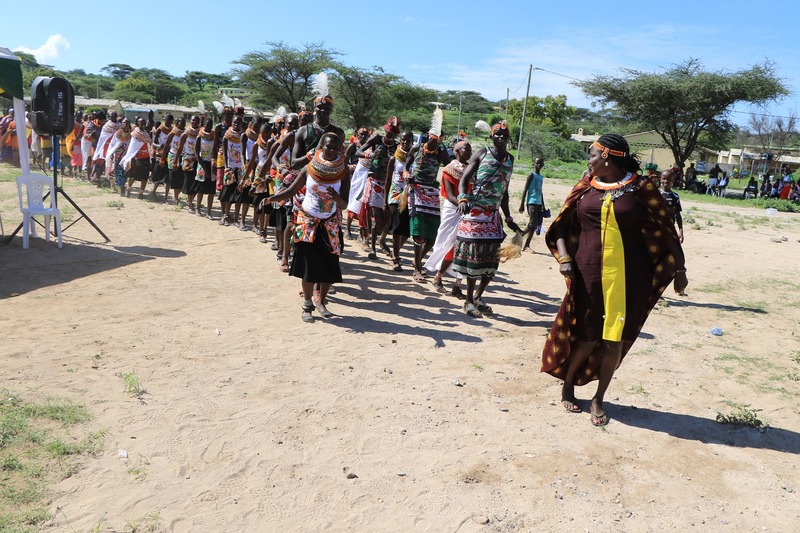 Since recruiting her the NRT has been conducting peace trainings for over 50 women in different conservancies, encouraging them to use their voices and influence to rewrite cultural norms. By so doing NRT, which was established in 2004 to develop community wildlife conservancies and conserve natural resources in northern Kenya, hopes to secure peace and bring an end to wildlife poaching. It’s a calling that Josephine has accepted; a responsibility whose weight is lightened by the fire that burns for people, peace and the environment.